Our firewood is sourced from managed, sustainable forests. Green energy source with low carbon output. KLFirelogs supplies firewood with a moisture content of between 15% - 20%. This has a variety of benefits. "Great selection and prices and very reasonable. Will definitely use again." "We've been buying from Kieran for years. Reliable deliveries at a predictable prices." Firewood dried in a kiln is an excellent alternative to traditional logs due to its outstanding qualities. Our wood has only 20% moisture content and burns efficiently with higher heat output. This low moisture level reduces the amount of smoke and creosote produced whilst burning which makes our kiln dried wood more environmentally friendly. Besides, you can be sure that your chimney will remain cleaner. We deliver our firelogs free of charge everywhere in Swords and North Dublin and guarantee high quality at affordable prices. Excellent service with a personal touch. All our prices include delivery. Consistent high quality solid fuel. 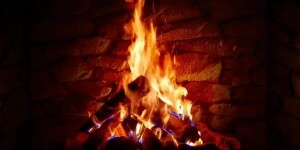 Kiln Dried Firewood is the best solid fuel for your home in Swords. Fire burns hotter with less wasted energy. Brighter flame and warmer ambience. The fire logs we provide to Swords has been dried by experts in a state of the art kiln. We know how important it is to do our part for the environment and we are proud to say that our logs come from managed European forests. That means that not only are you producing less harmful smoke when staying warm but you are almost carbon neutral too. A phone call is the best option. We'll find a time that suits you best. We do everything (legal) to deliver on time. Great selection and prices and very reasonable. Will definitely use again. We've been buying from Kieran for years. Reliable deliveries at a predictable prices. Great service but maybe needs a larger range of sizes.